Notable film composer, Chuck Cirino has launched his own royalty free music download service in the wake of a changing production music world. Listen, click, download and Viola! You've got a high quality music track. "I can't believe I'm doing this with my royalty free music," says film composer, Chuck Cirino. He's talking about his new website, Fearless Media Music. 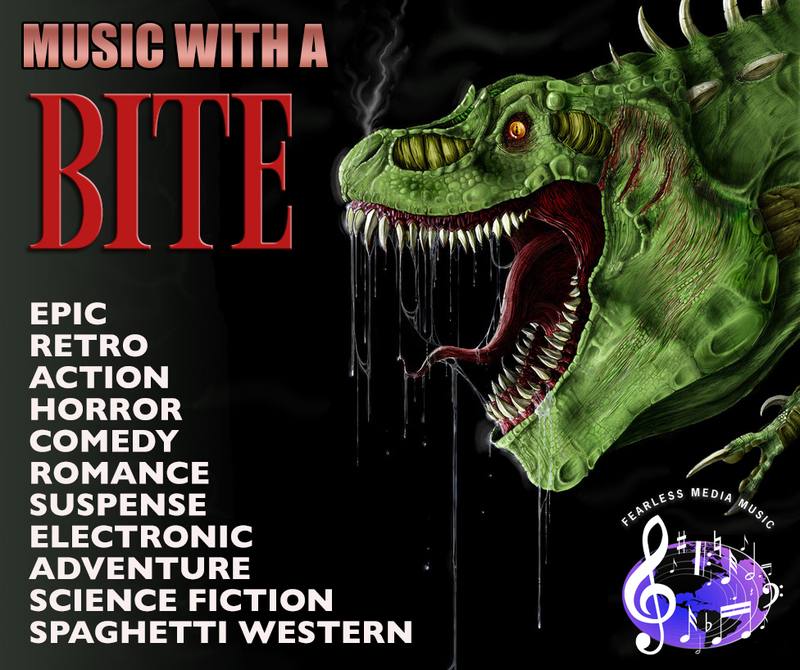 Cirino has been scoring Hollywood movie and television music since 1986 including his classic B movie scores for Chopping Mall and The Return of Swamp Thing. "The post-production and film music scene has changed dramatically because more and more studios are finding music on line at web sites like mine," says Cirino. "Even the independent producers are finding a cleaner, cheaper way to track their productions. And this includes the gaming industry." Producers still hire film composers, but Cirino says many are going the alternate route: Royalty Free Downloads. "Listen, click, download and Viola!... 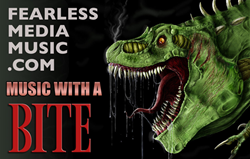 You've got a high quality music track, or a collection of tracks ready for your project time line," says Cirino describing the way Fearless Media Music works. With more than 70 feature films, TV series and web series to his credit Cirino's music continues to enhance visual media around the world. "Now any producer, director or game developer on the planet can have access to these music tracks in an instant," says Cirino. 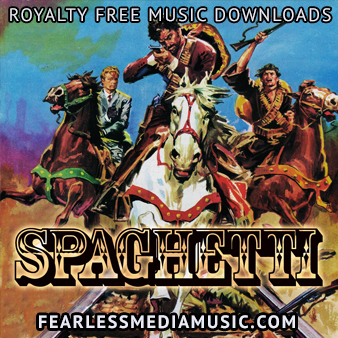 Using a PayPal/credit card gateway anyone can purchase and download the Fearless Media Music tracks for almost any musical purpose imaginable. Users can even listen to the entire track before purchase. Cirino's service doesn't stop at simple downloads. He is also available to apply his 30 years of post-production expertise to edit, enhance, post-compose or re-arrange some of his tracks to fit the client's production perfectly. "Users of my site will get a personal, hands-on touch by the actual composer who wrote the music," says Cirino. Cirino's long time friend and TV production executive Michael J. Hill says, "Chuck is a one-man full-service post production experience. He's done it all by himself as long as I've known him." Cirino's past clients include HBO Labs (for this Webby nominated for sound and music viral video), Insight Film Studios, Syfy, NBC Universal Television, Cinetel Films, New Horizon Pictures, Retromedia and many more movie and television venues. 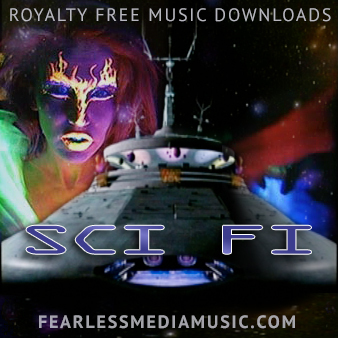 Fearless Media Music offers royalty free music downloads to international producers, directors, filmmakers, post production supervisors, editors, web authors and media entrepreneurs. While Cirino might be in state of disbelief about his move to Internet fulfillment, he's also got a whole new attitude about production music. 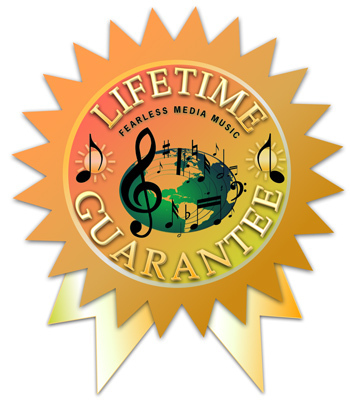 "Royalty Free Music is music you buy with a Lifetime Guarantee," says Cirino. "Once you buy it you can track it into any of your productions for as long as you live." Chuck Cirino - Film ComposerChuck Cirino pictured with some of his DVD releases. Music Sample DownloadDating in LA is an ongoing project for Chuck Cirino. This cue gets remixed every week! FearlessMediaMusic.com - Music with a BITEFearlessMediaMusic.com - Music with a BITE - alt grfx FearlessMediaMusic.com - Horror MusicFearlessMediaMusic.com - Horror Music FearlessMediaMusic.com - Spaghetti Western MusicFearlessMediaMusic.com - Spaghetti Western Music FearlessMediaMusic.com - Science Fiction MusicFearlessMediaMusic.com - Science Fiction Music Fearless Media Inc web site pageGo to www.cirino.com for a full background on Chuck Cirino and his company.